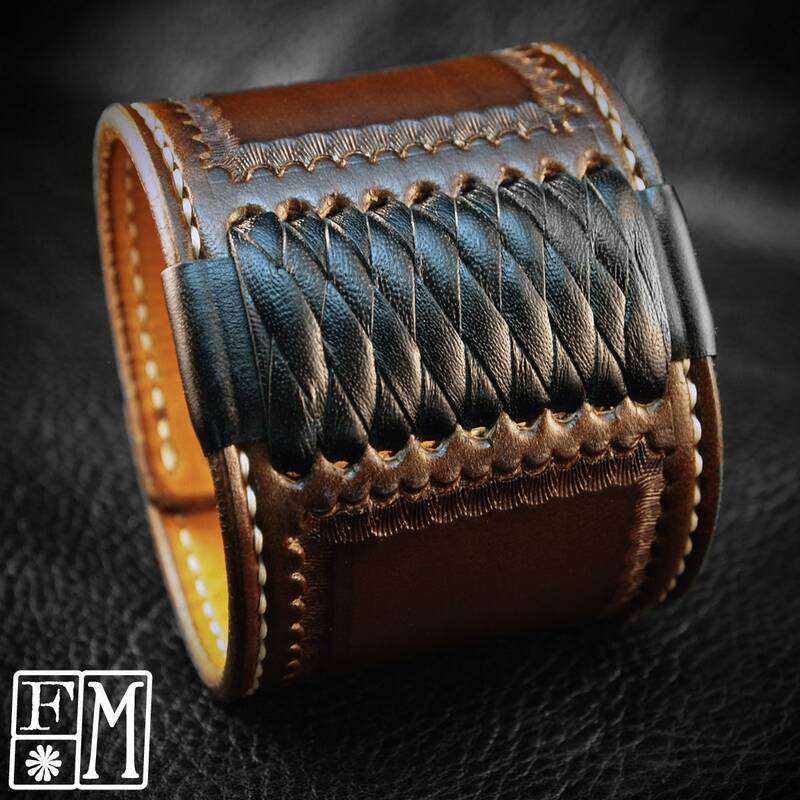 Brown Leather cuff Bracelet American Western Saddle wristband Handstitched Braided Stamped Handcrafted for YOU in USA by Freddie Matara! 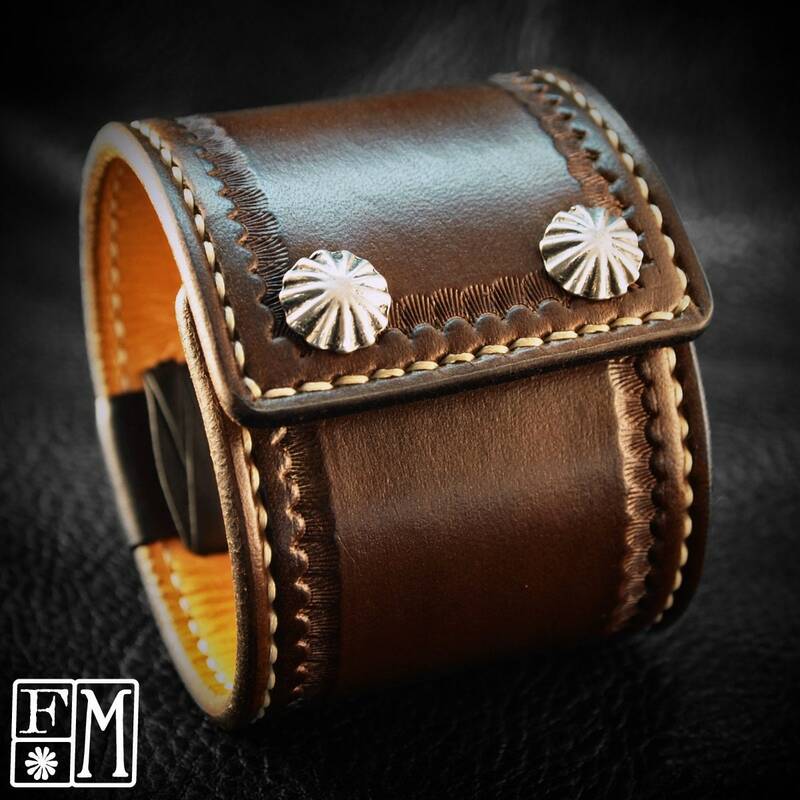 This Brown leather cuff bracelet is Saddle inspired and made using fine Vegetable tanned leather lined in calfskin. 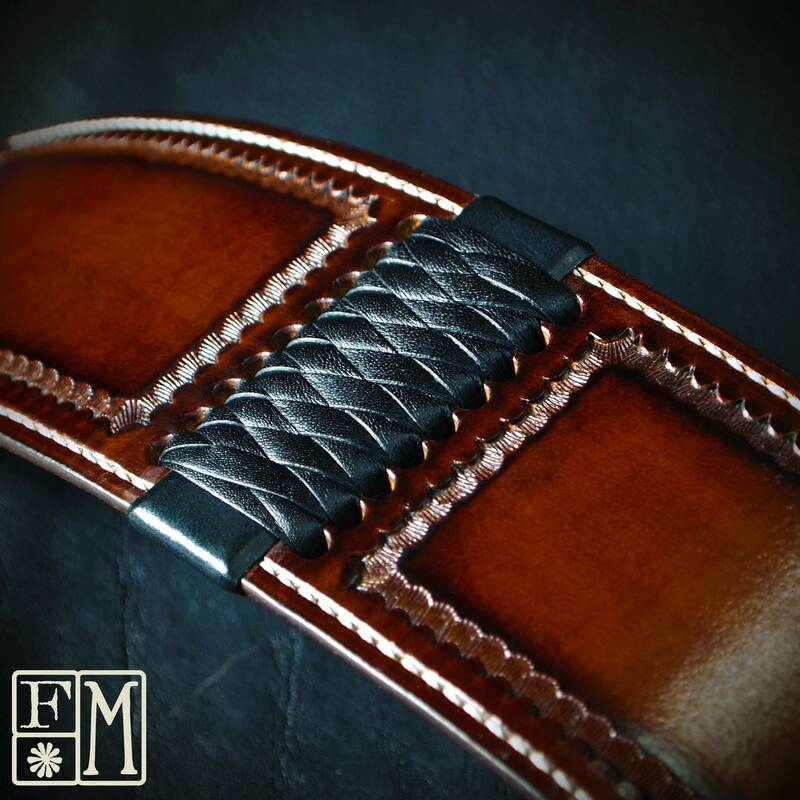 It is hand dyed a beautiful brown, stamped, hand stitched, braided with black kangaroo lace, oiled and sealed! 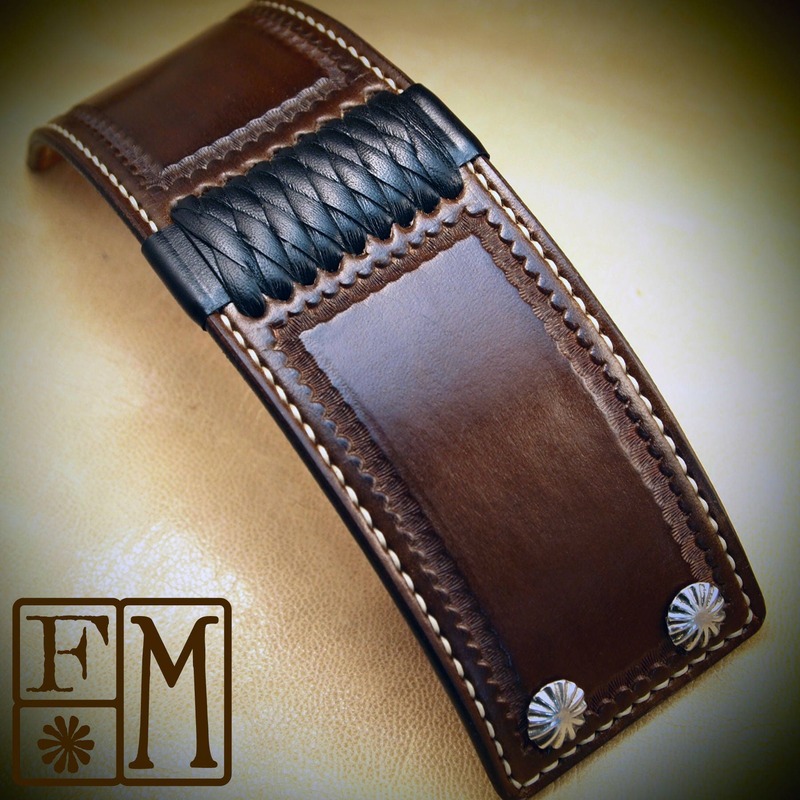 It uses 2 beautiful native conchos snaps for the closure. 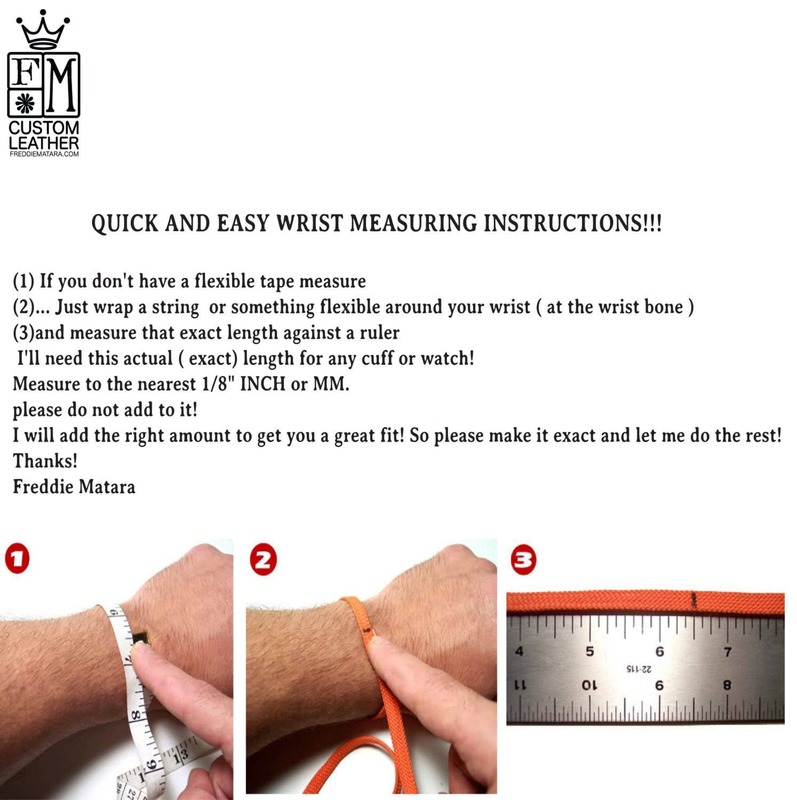 2.25" wide.